Day-by-day the total counting and frequency of cyberattacks demonstrate no symptom of slowing down. Don’t know why or for what purpose, hackers are devoting their precious time and resources in stealing patient records. 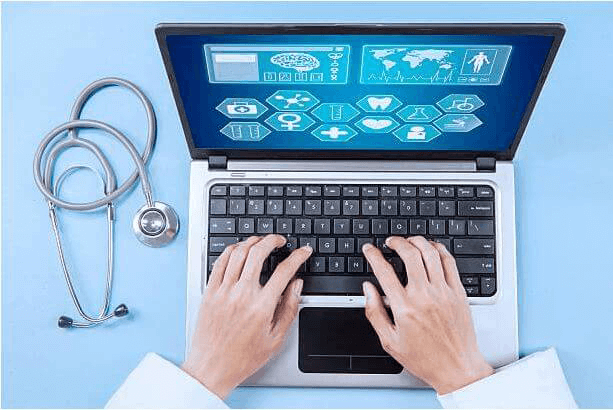 The above quoted statements are the cause due to which healthcare industries are getting worried regarding the patients record stored on their network. They are having concern with cyber attackers leaking their networking data and hence, exploring personal records of patients in front of public. Readers might get shocked after hearing a fact i.e., enterprises are a single step behind bad actors. Therefore, here we came with this CloudCodes blog to aware readers with digital strategies to secure patient data. These strategies are going to give protection to the data stored in healthcare companies, reducing the chances of data breach occurrence up to major extent. The research from the Ponemon Institution and the reports by Verizon Data Breach Investigations are the basic sources for deep analysis into the recent threat landscape. Verizon determined that out of 750 healthcare industries, 536 companies were involved in data leakage incidences. The major target in these incidences was medical records of patients. The report also exposed a surprising aspect that ‘the healthcare companies are worst in securing patient data.’ Talking about the Ponemon study then, it is being found that healthcare information breach incidences cost industries an average of around $408 per record in the year 2018. This is the highest of any company and three times larger than the cross-enterprise average of $148 each record. Cloud security experts found that cybercriminals are attracted towards medical records for their purpose, which undoubtedly force healthcare companies to pay high at the time of breach. Solution – Healthcare industries can secure patient data simply by keeping themselves updated from what is going on in the cloud computing. They need to update the applications (used on daily basis) regularly, instead of ignoring those updates. Also, put special attention on the information that can be the major threat cause, when it goes in hands of attackers. A comprehensive knowledge is required to develop and design healthcare architecture security protocols in an IT network security. This kind of skill is also required at the time of deciding data storage options, designing physical infrastructure, and other core fields to secure patient data. With the increase in technical approaches, healthcare companies need to regularly check whether they are executing correct policies on correct places or not. If no, it is of no worth to use that security compliance because they are not getting accurate execution path. The strong healthcare architecture will be dependent on physical, technical, and administrative safeguards, which ensures HIPAA compliance. Healthcare companies have to replace legacy approaches, which are not capable of meeting current polices in a proactive manner. If they endanger the patient records, organizations have to work upon it. Update all the machines, equipment, and procedures that enable vendors to move their concentration to deploy advance security measures. These can be – software-defined perimeter tools, innovations as micro-segmentation, analytic platform infrastructure, and security operations embedded with Artificial intelligence system. Multifactor authentication, encryption, and data integrity apps are the common examples of technologies, with minimum set of risk and control on sensitive data access. The process of patching is also considered as one of the important part both in software and firmware on all devices. Installing the provider-suggested patches should be in routine to secure patient data. Apps are available readily to identify and mitigate challenges associated with unpatched machines. The Ponemon institution survey states that healthcare endpoint threats cost enterprises more than $1 billion in each year. Only one-third of IT and protection leaders said that they are having sufficient amount of resources to effectively hold the endpoint challenges. Healthcare officials need to keep one thing in mind i.e., using antivirus products alone does not come under the list of complete resources. Enterprises should execute advanced threat security measures, which comprise of Endpoint detection and response system within them. We accept that healthcare industries are already having lots of operations to do but, doctors, nurses, etc., cannot ignore the aspect of data security at any cost. To reduce the workload, we would suggest them to hire CASB solution providers. These provides serve all protection approaches to their customers that are required to fill security gap in client’s network security infrastructure. Once such vendor, which is trustworthy all around the world is CloudCodes! The solution provides a consolidated approach to its healthcare industrial customers so as to fulfill all needs to secure patient data. All the measures are coded in the solution and provides an automatic way of dealing with patient’s records.